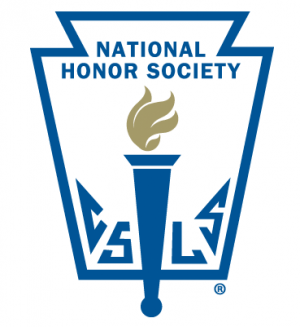 The National Honor Society is the nation's premier organization established to recognize outstanding high school students. More than just an honor roll, NHS serve to honor those students who have demonstrated excellence in the areas of Scholarship, Leadership, Service, and Character. These characteristics have been associated with membership in the organization since its beginnings in 1921. Information delivered to candidates with the 3.6+ unweighted GPA during school on Monday, August 20. Candidate Information meetings will be Thursday, August 23 at 7:10 am and 3:00 pm in the Lecture Hall. THANK YOU for taking your time to complete the Community Evaluation for the NHS candidate. Your responses will be kept confidential to ensure you are able to give an open and honest evaluation. Contact Kay Premer or John Loomis, NHS Advisers, at kpremer@goddardusd.com/jloomis@goddardusd.com or 316.794.4190 x34233/34241 if you have questions. *The National Honor Society and the National Junior Honor Society and NHS and NJHS are duly registered trademarks of the National Association of Secondary School Principals (NASSP). Unauthorized copying or use of said trademarks is strictly prohibited.